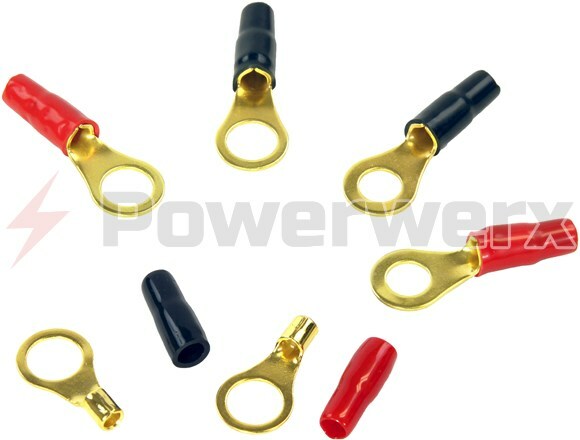 High quality, gold color, solderless ring terminals for high power, high current DC connections. Corrosion resistant. For 8, 10 & 12 gauge wire. For terminal/stud sizes 3/8", 5/16" & 1/4". Sold individually. 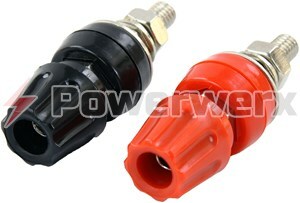 High quality, gold color, solderless ring terminals for high power, high current DC connections. Corrosion resistant. 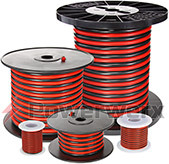 For 8, 10 & 12 gauge wire. 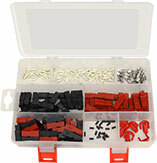 For terminal/stud sizes 3/8", 5/16" & 1/4". Sold individually.